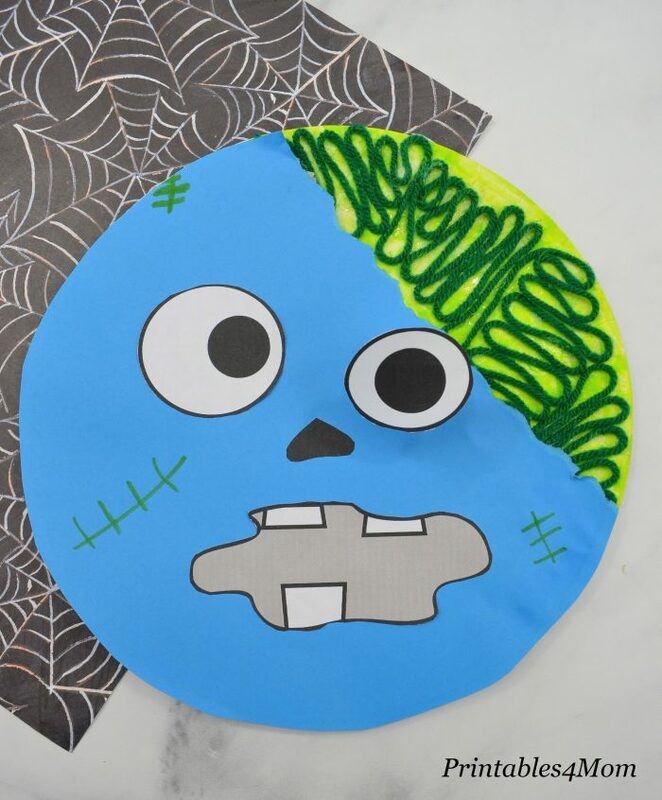 We made a Zombie “friend” to go along with the Paper Plate Zombie craft we created a few weeks ago! Just like the other one, this craft features yarn brains and a 3D eye. 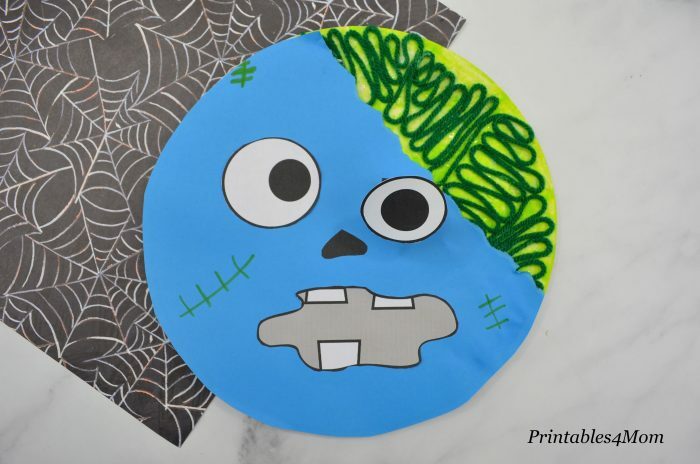 Grab the free printables for both crafts and allow your kids to choose their favorite face or create them both for a family of zombies! 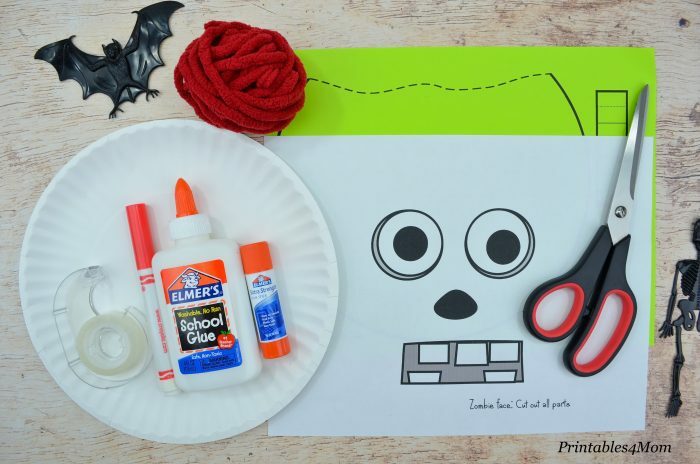 After gathering up your supplies, print the zombie face onto your white paper and the head and eye template onto colored paper. 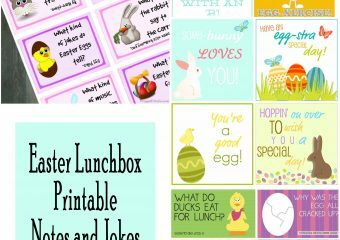 If you want, you can print the head template on white and then trace and cut it onto the colored paper instead. 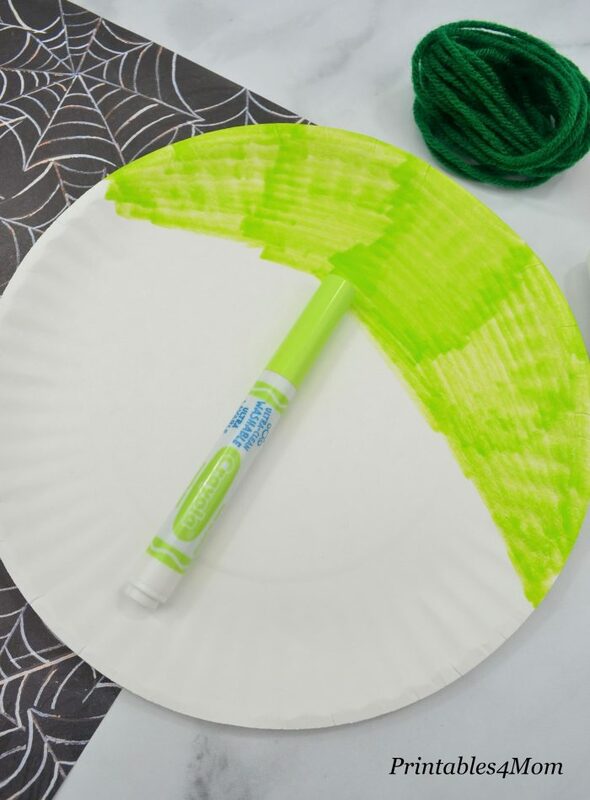 Next, take the paper plate and color the corner of it with your marker. It can be really messy because you will be covering it up with yarn. Use the same color of the yarn or get creative with a contrasting color. 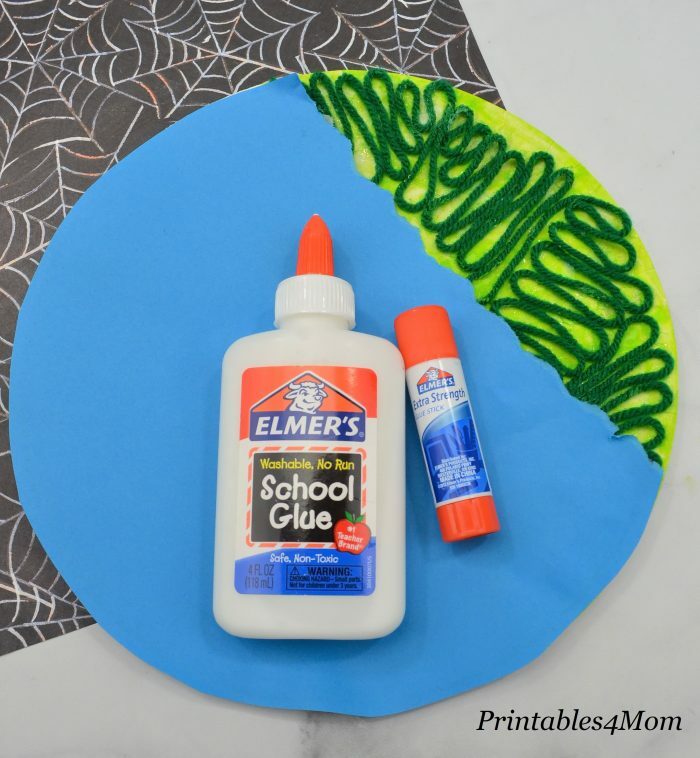 Squeeze a generous amount of glue on top of the marker part of the plate. Taking the yarn, form a twisting pattern to create the zombie brains. Next cut out the pattern for the springy eye ball & head from the colored paper. Note that on the template you can cut about 3/4th of the plate and rip the other side as shown below. As shown above, fold your springy eye piece in an accordion style, going back and forth. 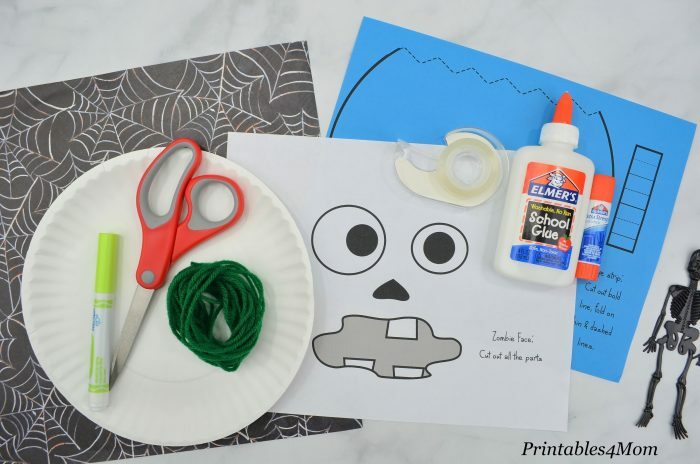 Glue this head piece to the paper plate, positioning the open, ripped edge to expose the zombie yarn brain. 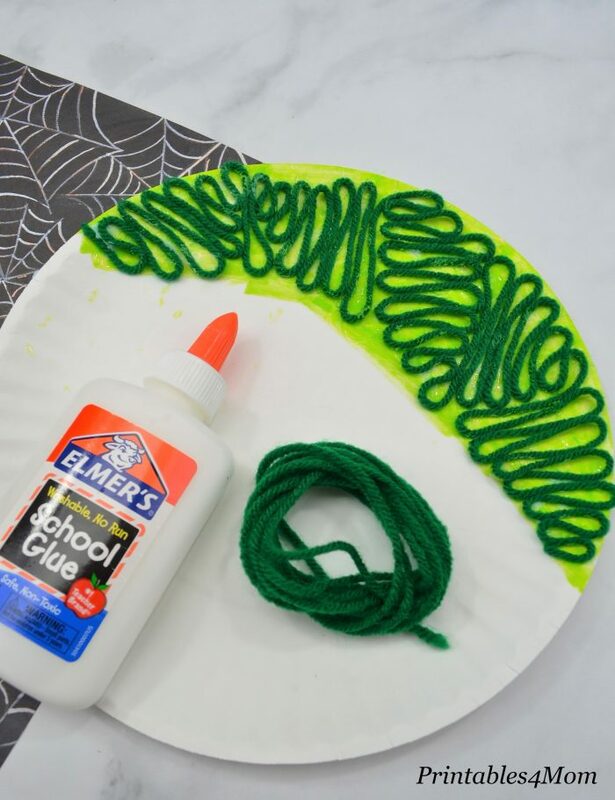 The glue stick works best to adhere the paper to the plate, but more school glue will be needed for the parts where the paper is over the yarn. 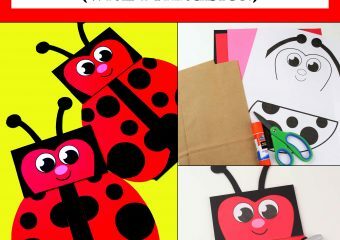 Cut the face pieces out of the template. 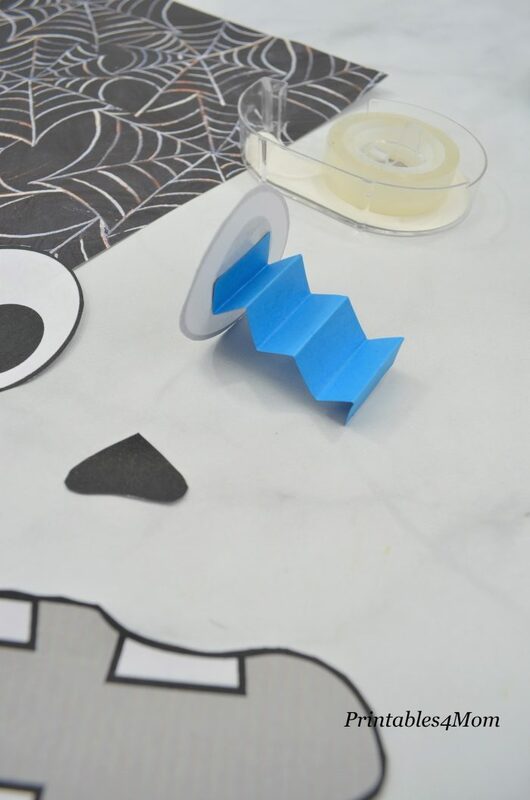 Attach the accordion paper piece to one eye ball. 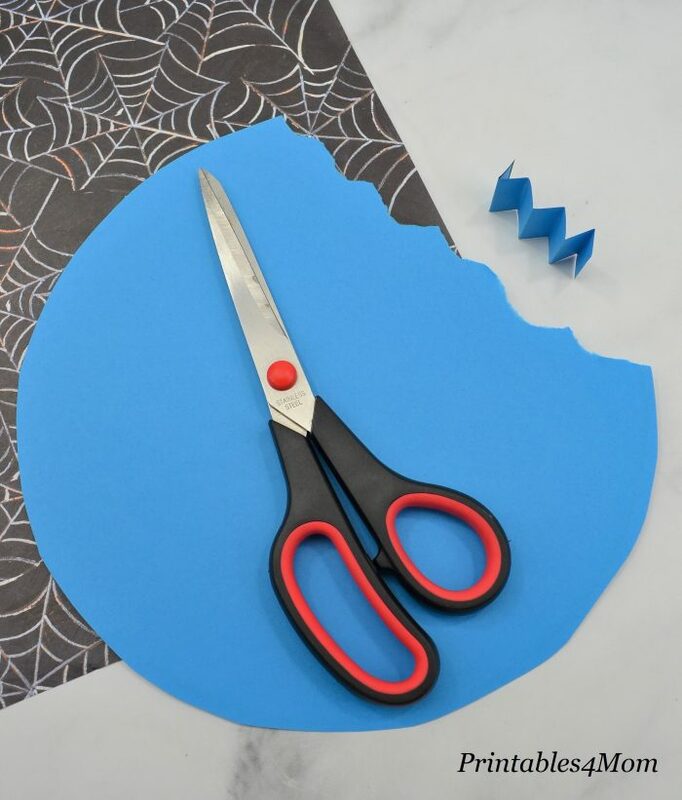 You can use tape for a quick stick, or the glue stick as well. Assemble the face pieces on the plate & use the glue stick to adhere them. Embellish the face with a few marker drawn scars. Now your zombie is ready to spook! 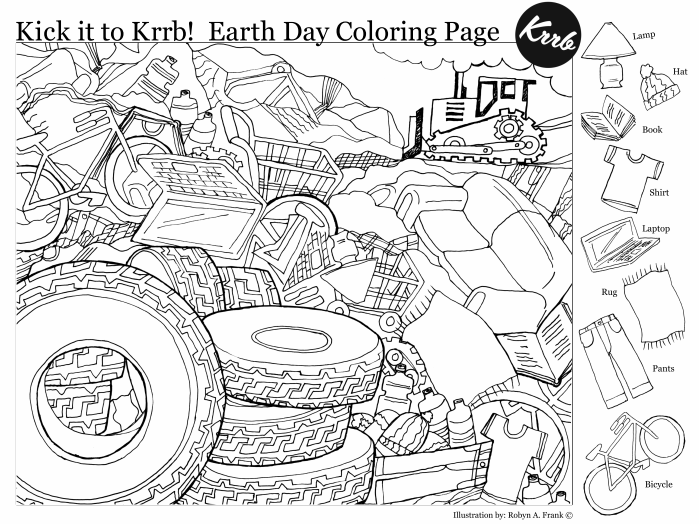 Get creative by mixing and matching multiple colors. 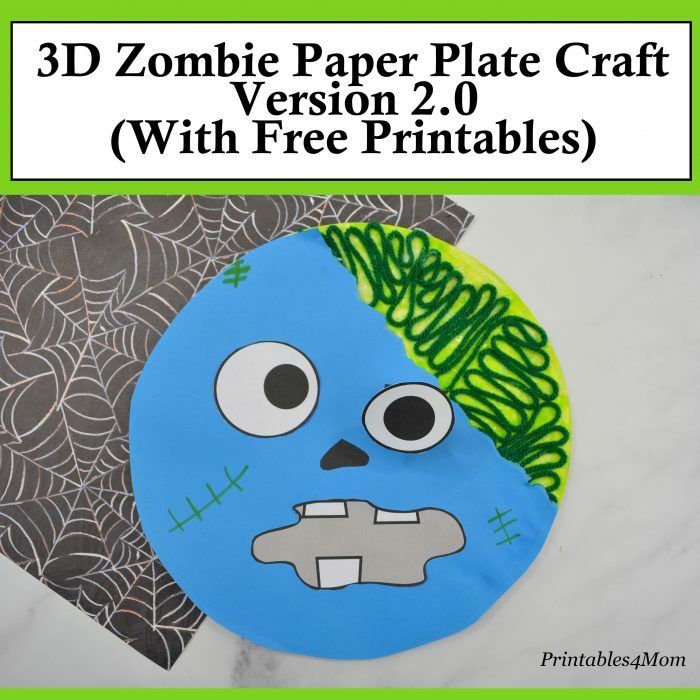 And don’t forget to check out the alternate face version of this paper plate zombie craft!